Keep your bathroom floor and surfaces clear of clutter with this superb Beldray 6-tier bathroom caddy, which offers an ideal storage solution for housing all your bathroom essentials. The easy-to-assemble rack is designed with durability in mind and stays sturdy with four adjustable feet to compensate for uneven bathroom floors. This highly practical iron unit features a chic white finish that will suit almost any colour scheme, while preventing the build-up of rust and grime in damp conditions. 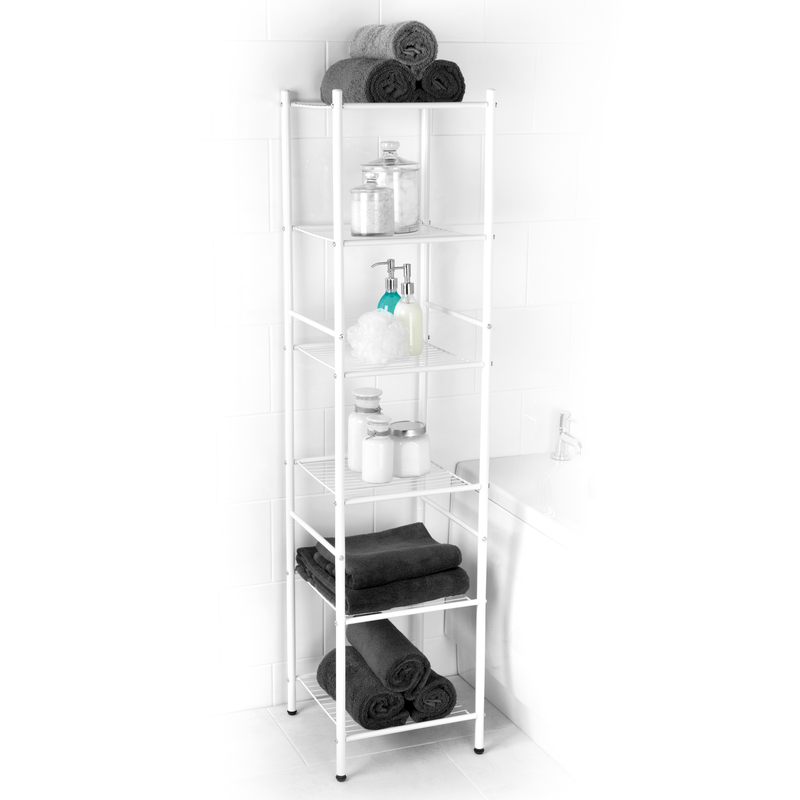 Delightfully easy to fit, move and clean, this Beldray shelf unit is the ideal home storage solution for de-cluttering your bathroom. Measuring approximately 34 cm x 34 cm x 141 cm, this self-assembly unit is a perfect fit for even the smallest of bathroom spaces. With four non-slip feet, this free-standing shelf rack allows you to keep your bathroom walls and tiles free from screws and drills. 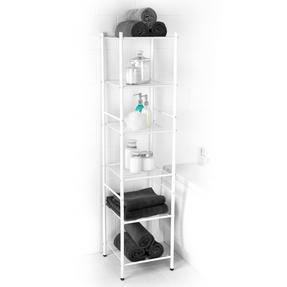 With six rigid grid shelves, the unit can house all your toiletries and cleaning products with added room for storing extra towels. The contemporary white finish is sure to match any bathroom colour scheme, in addition to offering impressive corrosion resistance.